Fine motor skills relate to hand-eye coordination and control over small muscles, but gross motor skills cover a much broader set of skills. Kids need to develop strong gross motor skills to control their head, torso, arms, and legs. 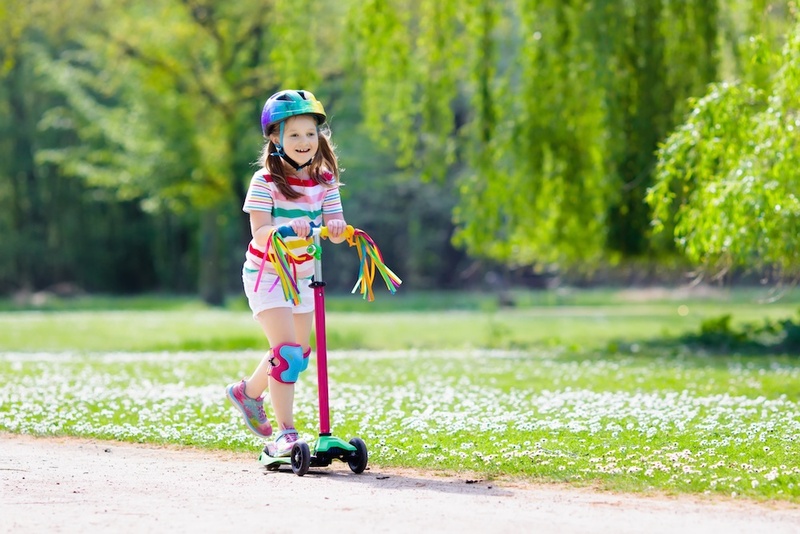 Without gross motor skills, your kids may be unable to walk, run, and balance well. There are lots of ways to work on these skills, including activities that are ideal for kids with ADHD, autism, and other behavioral issues. Read on to find out how to work on gross motor skills this summer. For kids with social anxiety or other issues, playing with others can benefit from individualized activities. Luckily, the playground is the perfect venue for young kids to work on gross motor skills. Everything from swinging between monkey bars and climbing rope walls develops gross motor skills. Playing with blocks, walking along a balance beam, and riding a bicycle also helps develop coordination between limbs and torso. To slow things down, stack plastic cups or boxes in the backyard. Toys that can be pushed or pulled along the sidewalk are also great for gross motor skill development. If your child is ready to work on interacting with other kids, plan some group activities. For toddlers, games like Duck, Duck, Goose and Tag are a good way to start focusing on gross motor skills. For older kids, playing catch and running relay races combine gross motor skills with cooperation! Other group activities and sports that are great for motor skills include organized basketball, throwing water balloons at a target, and playing with a Frisbee. Gross motor skills are necessary for kids to develop balance, strength, endurance, and more. Even kids with social anxiety or OCD can find activities during the summer that allow them to work on developing motor skills. As a parent, you may have to try a few different activities before you find one that sticks -- what's important is that you keep moving, not how long it takes you to find a routine that sticks!